Our skin care journeys…wow how much time do you have? Lol. Our younger selves never thought we’d still be dealing with acne in our 20s, 30s, and beyond. But boy did we, and we both struggled to find the solution to our skin problems. For YEARS. That is, until we discovered Paula’s Choice skin care about 10 years ago. The difference was almost overnight and the results have been amazing. We’re excited to share our journeys and hopefully save someone else the struggle! Growing up I had acne in high school, but it wasn’t severe. I did, however, have to go on antibiotics and use Retin A to manage it. I became an expert at covering up zits with make up. It was an art form! In college my skin got worse, probably due to playing soccer, stress, and bad eating and sleeping habits. I continued to take antibiotics, often switching antibiotics when one seemed to become ineffective. In my adult years, my skin was very affected by hormones. During pregnancy, my skin would be absolutely perfect! Then, during breast feeding, my skin would totally break out. I ended up going back on antibiotics and feeling very discouraged. 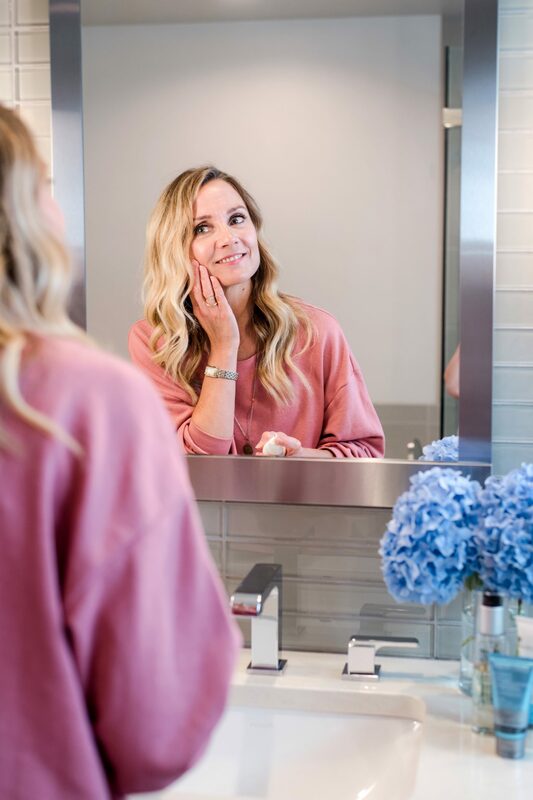 As the years went on, my skin would fluctuate between sort of clear and pretty zitty, but it seemed like whenever it was generally clear, there would still be some sort of blemish on my face – bumps, zits, blackheads…something. It was never completely clear. Then, about 10 years ago, I started using Paula’s Choice skin care products. I’m serious, these products are so effective! My skin cleared up completely, and her anti-aging products are amazing! Through the years, I have been tempted and strayed away at times from Paula’s Choice to try so-called “miracle” products. I ALWAYS come back to Paula’s Choice. It WORKS, and the price point is so much lower than so many skin care lines. 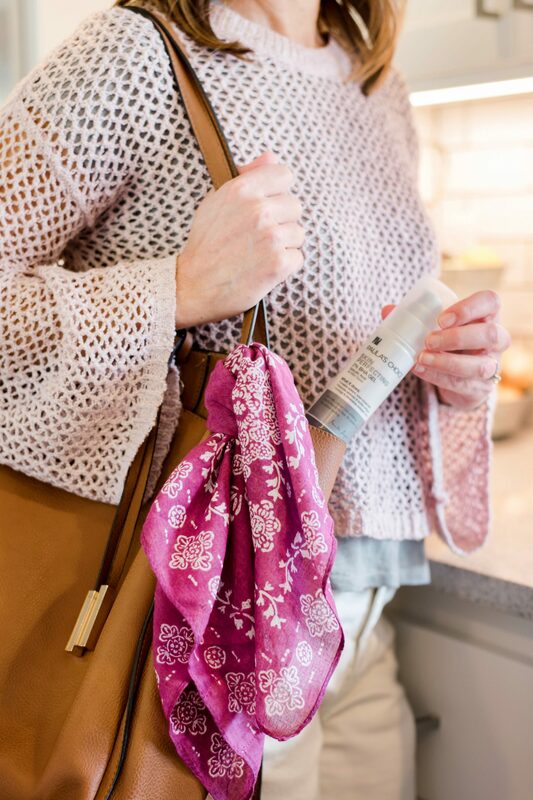 Julie and I have been using it for years, and we are excited to tell all of you about our top 3 favorite products. #1: 2% BHA Gel – This Beta Hydroxy gel is the first Paula’s Choice product I tried. It made me a believer because it totally cleared up some hard little bumps along my hairline that had been plaguing me for a long time. #2: 1% Retinol Treatment – This combination of retinol, peptides and vitamin C is super effective in softening lines in my face and keeping my skin young looking. It’s also not irritating to my skin like some retinol creams can be. #3: RESIST Youth-Extending Daily Hydrating Fluid – This daily moisturizer with antioxidants and soothing plant extracts is light weight, has SPF 50 and is perfect under makeup. I got the occasional big zit in high school, and in college, it intensified. I’ve since learned from my daughters and their dermatologist visits, that hormones kick into high gear around 19 for girls. That explains the increase in breakouts after high school and why it always flared up around my monthly cycle. 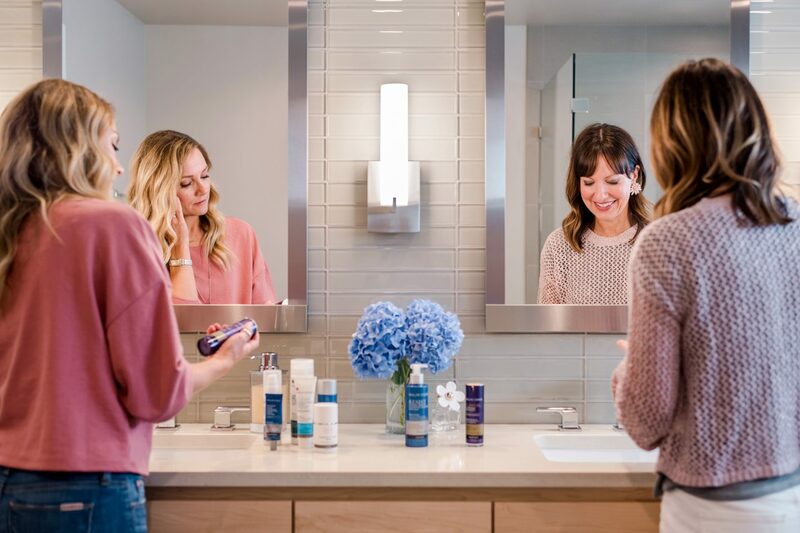 My skin continued to get worse, and by my mid-20s, I was in a constant cycle of cystic acne in my T-zone that would take two weeks to clear and before it could fade, another big one would appear. It was painful and embarrassing, and it seemed like no one else around me was struggling like I was. To make matters worse, twice my cystic acne turned into a staph infection that spread like a grotesque alien across my face. I had to go a family reunion like that, and my mom still brings it up (can we not?). The only thing that worked to improve my skin was getting pregnant with each of my three kids, but that’s obviously not a sustainable solution! I tried so many product lines and each one either did nothing to improve the situation or made matters worse. The final straw was an expensive line of skin care products I purchased through a home party. Everyone raved about this line but of course, it made my skin worse than ever. I was talking with a friend later who had also attended the party, but didn’t buy the products. I told her my frustration and she said she’d started using a line called Paula’s Choice a few years ago. It worked, so she didn’t want to mess that up by trying anything else. She had great skin, so I thought, what do I have to lose? I ordered the products and the rest is history…my skin improved literally overnight and finally I was able to say good riddance to angry, painful, unpredictable skin! It sounds dramatic, but I can’t say enough about how much Paula’s Choice brought peace and confidence back into my life. My daughters and I joke about the “gospel of Paula’s Choice” lol. But it’s kinda true–the anxiety caused by acne is real, and to find something that actually works is truly a big “G” Godsend. 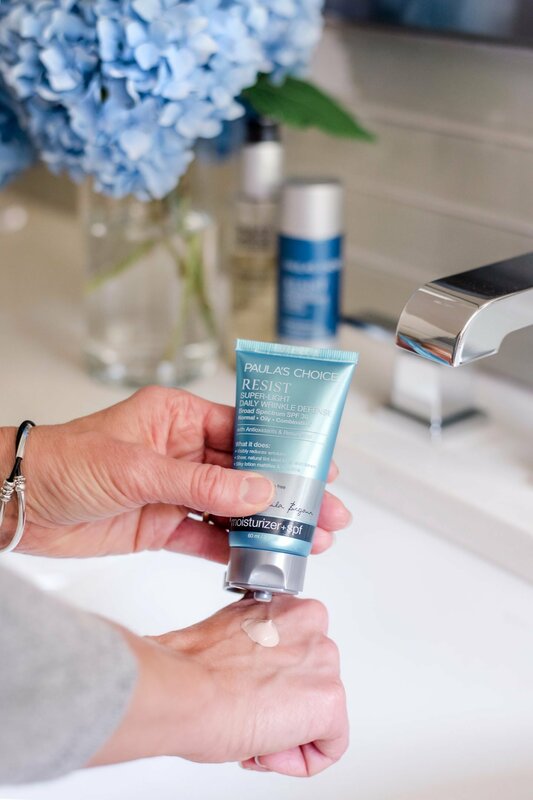 #1: RESIST Super-Light Daily Wrinkle Defense SPF30 — This is my daily moisturizer and I love that it has a high SPF but doesn’t feel heavy or tacky at all like most sunscreens do. I also love that it’s tinted, giving my skin light and even coverage. When I forget to put this on, I can tell–my makeup doesn’t go on as smoothly and my skin tone is more uneven. #2: RESIST 10% Niacinamide Booster — I use several of Paula’s anti-aging products and this is one of my favorites because I’ve seen it improve the tightness and firmness of my skin over time. I add three drops to my moisturizer every morning to shrink my pores and keep things looking smooth. #3: RESIST Advanced Replenishing Toner — I went years without using a toner because I didn’t see the reason for it–it just seemed like an added expense and how would it help my acne? But the thing about Paula is that her website is chock FULL of research and info about products. She even reviews and recommends other products so that you can find what actually works! What other line does that?? Anyways, what I learned is that our skin is like a sponge, and a toner moistens that sponge (among other benefits) to allow your skin to soak up the other products you put on top. I started using her toner, and voila! I started seeing even more improvement in my skin! This combination of products is my acne-fighting arsenal. 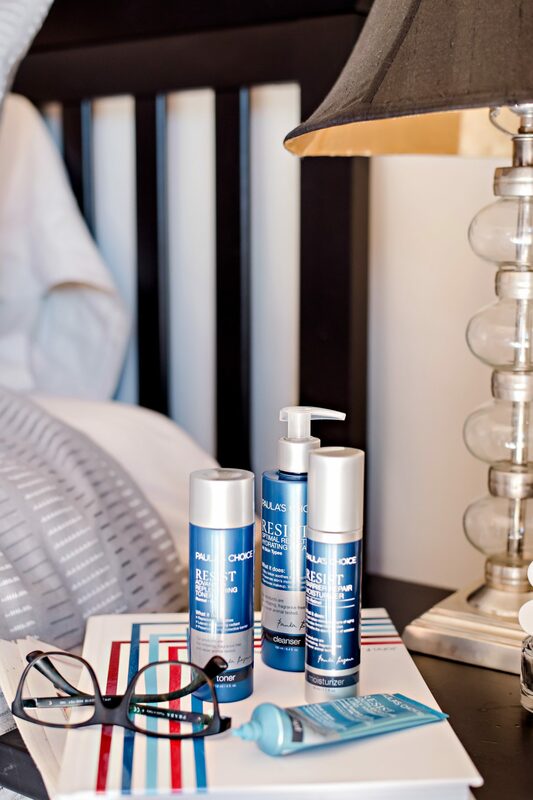 Figuring out your skincare routine can be complicated, so feel free to ask us questions. They’re also extremely helpful at Paula’s Choice and are quick to provide guidance over the phone or online. We’ve watched Paula’s Choice grow from a few products only available online (and started right here in our hometown of Seattle!) to a skincare and anti-aging powerhouse now featured in magazines and sold in fine department stores. The results, their 100% money-back guarantee, the research, the affordability–all these things have made us loyal customers for life. What’s your skincare journey–are you still struggling or have you found something you love too? We would love to hear from you! This blog post has not been sponsored in any way from Paula's Choice. We've paid for all our products and wanted to tell you about it simply because it works and we love it! No way! Definitely not too late Christina! That’s about the age I first discovered Paula’s Choice! I’m so glad I did–I know it’s really made a difference. Now part of my skin regimen.